A new update to Dota 2 will try to make sure new players are always matched with nice players. In a blog post, the Dota 2 team discussed two changes to the newcomer experience. First, all new accounts will be limited to a selection of 20 heroes for their first 25 games, curated for new players. 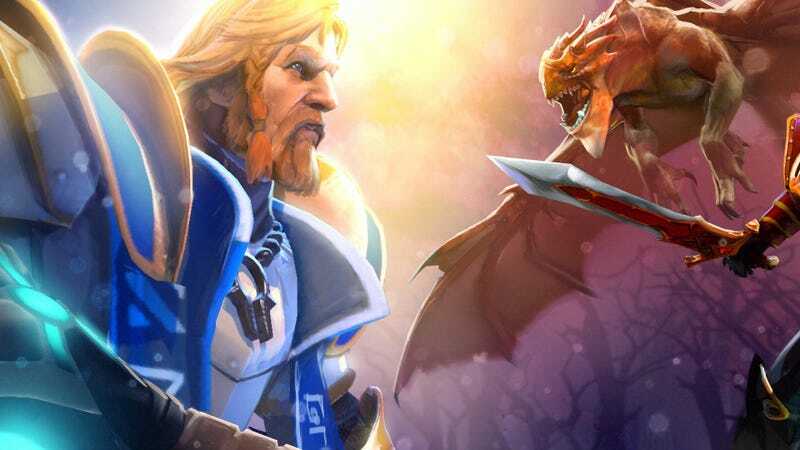 Dota 2 already had a limited heroes mode, so expect some standards like Omniknight, Lich, Dragon Knight, and Juggernaut to be part of that lineup. The other boon for newcomers is that matchmaking will prioritize putting them against players with consistently high behavior scores, or rather, players who don’t rage out in the chat. The Dota 2 team iterates the importance of a positive experience in your first few games, to make learning seem a little less intimidating. Dota 2 has been gaining new features for a while now aimed at improving gameplay clarity. New item text updates and interface additions have helped with clearing up more murky areas of game knowledge like which abilities can damage through what immunity, or which heroes have buyback up or not. As someone with over 3000 hours in the game, the onboarding process isn’t painless, and likely won’t be any less so with these updates. Dota 2 is an infamously impenetrable game, with a lot of mechanics and interactions that can be difficult to wrap your head around. Like a board game, you can read the rules all day, but you’re only going to start to get it by playing a lot of games, preferably with friends who won’t berate you too much for rushing a Bloodstone on Rubick. These changes, alongside the return of the newcomer stream for this year’s International, are solid strides towards smoothing out the on-ramp for new Dota 2 players. It’s still a daunting task, but at these tools combined with some outside help from a friend should make those first 100 hours or so a little less painful.